Check out my density-altitude and mountain flying tips on this week’s AOPA Live aviation news broadcast! As you’d expect, we spoke primarily on flight training and flight instructor topics, with emphasis on key marketing, motivational, and pricing ideas and insights from my new book, The Savvy Flight Instructor Second Edition. CFIs and flight school operators should find this material particularly relevant. Thanks to Bob and NAFI for inviting me to participate! flying adventures, Flying Carpet column, Greg's piloting tips, Greg's student pilot pep talks, Greg’s flight instructor tips, Well, I'll be! Flight tests are a bit like weddings. Everyone wants theirs to go perfectly, but sometimes problems or distractions, when successfully resolved, add richness to the experience. Although each of these life events usually goes smoothly, you’ll occasionally hear horror stories. Jean and I once attended a wedding reception where the restaurant caught fire, forcing the bridal party and guests onto the lawn with firefighters. As with weddings, you can never know whether pilot checkrides are “good,” or “bad,” until afterward. The obvious measure is whether you pass or fail. Common wisdom says that sooner or later every pilot fails a flight test – fortunately that’s not the blot on one’s record pilots often worry about. But it’s not always that simple. Sometimes a failed test teaches valuable lessons. My own worst flight test was not the one I failed, but one I passed. On my instrument practical years ago, I confused my position on an instrument approach, turned, and started down at the wrong fix. The examiner’s questioning helped me figure it out, but afterward I pondered if and when I’d have caught the error on my own. Although I learned the relevant lesson, it seemed at the time I should have failed so there was little joy in taking the new rating home. The experience haunted me until I got more instrument flying under my belt. Colorado pilot Tom Fuller is well qualified to contemplate good checkrides versus bad. A 10-year Air Force veteran, Tom earned his private three years ago and is working toward a pro-pilot career. What’s the difference between Part 61 and Part 141 pilot training programs? Greg's piloting tips, Greg's student pilot pep talks, Greg’s flight instructor tips, learn to fly! Based on the number of questions I get, I thought it worth explaining US Part 61 vs Part 141 pilot training programs. Training under Part 61 is virtually unregulated except for meeting the specific objectives defined in the FAA regulations — that boils down to covering required maneuvers, aeronautical experience, and meeting test standards, pretty much however a given flight instructor sees fit. Part 141 programs, on the other hand, are individually FAA approved, meaning each flight school must develop a detailed pilot training curriculum including lesson-by-lesson syllabus and extensive record-keeping requirements, and submit it to the FAA for approval. Part 141 programs must by definition be highly structured to be approved by the FAA. As a result, they are one-size-fits-all, meaning that every student must be trained precisely within each flight scool’s approved syllabus. Part 141 programs theoretically can graduate pilots in slightly fewer hours than under Part 61 (35 vs 40) and are required for those seeking government funding of their training, most notably to qualify for VA benefits. My longtime-CFI buddy Jim Hackman likes to observe that “the best and the worst pilot training take place under Part 61 [because instruction quality can vary across the spectrum], while Part 141 trains for the lowest common denominator.” These days Part 61 programs increasingly incorporate some of the best Part 141 features such as written syllabi and stage checks. Incidentally, well-run Part 141 programs are great places for beginning instructors to cut their teeth because rigorous syllabi and standardization help them learn to structure training for their students. about Greg, Greg's piloting tips, Greg's student pilot pep talks, Greg’s flight instructor tips, learn to fly! For you Airplane Geeks podcast fans, I had the pleasure of being their guest this week. We spoke mostly on flight training and flight instructor topics, along with their usual news and industry features. Here’s the link for those interested in listening. Thanks to Max, Max, Rob, and David for having me! I’m pleased to announce the long-awaited 2nd edition of my popular aviation book, THE SAVVY FLIGHT INSTRUCTOR: Secrets of the Successful CFI! You’ve mastered the CFI study materials, passed your toughest-ever oral exam, and can now talk and fly simultaneously from the right seat. You can write lesson plans, enter mysterious logbook endorsements, and explain the details of a lazy eight. That’s all you need to know to flight instruct…or is it? This book is designed to help with all those “other” flight instructing questions, like how to recruit new flight students and keep them flying, conduct successful intro lessons, and optimize your students’ checkride pass rates. This new edition adds 20 years of additional knowhow to the networking, pilot training, and customer support concepts that made the original edition required CFI reading, plus lots of important new material you won’t want to miss. A new dedicated section for aspiring flight instructors explains why and how to become a CFI, and how to get hired. Instructors at all levels will learn how to sell today’s pilot prospects via online marketing and social media, and how to outsell competing activities beckoning from a finger-touch or mouse-click away. Seasoned flight instructors and flight school managers will learn how to systematize customer success and satisfaction, price and structure their services to fit today’s markets, and implement flight instructor professionalism. The “finer points” from industry experts: Learn how today’s flight training innovators promote their services and serve their customers in Heather Baldwin’s case-studies chapter. Discover how flight school owner and marketing guru Dorothy Schick crafts customer service policies to put clients first. Longtime DPE Jason Blair shares insights on checkrides and CFI specialization opportunities. Ever wonder how the big private and collegiate fight academies operate so efficiently? Then don’t miss Ben Eichelberger’s flight training standardization chapter. 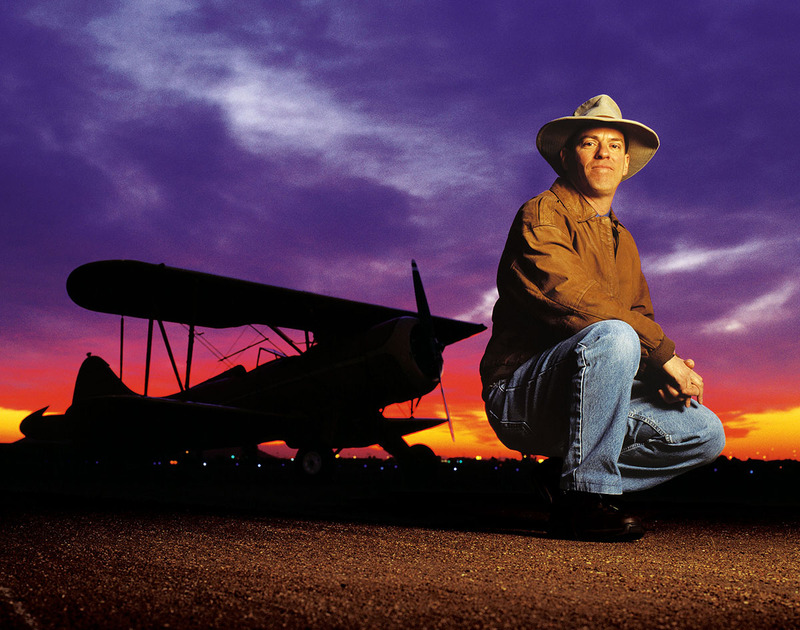 And no one’s better qualified to project future flight training trends than renowned aviation writer and editor Ian Twombly. Thanks to all, for your many years of support for this and my other books! Why do VFR aviation weather minima vary by airspace? This is one of the better US aviation airspace depictions I’ve seen… I like the way it relates airspace definitions to what we see on the Sectional chart. Where Class E drops to 700 feet AGL (magenta shading) or to the surface (magenta dashed line), instrument approach procedures are authorized, which is why the VFR weather mins are higher there, and why we must be extra vigilant when flying VFR into airports falling within magenta areas. Now look at your Sectional chart again, and for the first time all that magenta makes sense: those are airports with instrument approaches. Better keep your eyes open when flying there! For all you pro and aspiring-pro pilots, here’s an excellent video explanation of the new ATP (airline transport pilot) certification and training requirements, from Embry-Riddle Aeronautical University. Finally, the speculation (if not the controversy) is nearly over!